My latest op-ed, title above, appeared in The Virginian-Pilot Thursday. In it, I discuss why I believe the elected school board Norfolk’s voters approved Tuesday should be elected at-large and not by ward. I’ve lived here long enough to see that the ward system has not been good for Norfolk. Yes, it got a third black member – out of 7 at the time – on council. And I know that is important. If you read the Collins decision (synopsis), you can’t come to any other conclusion. But 22 years after Norfolk first elected its council by wards, that number is stuck at 3 – and we now have 8 members of council, with the addition of the elected mayor. Meanwhile, the demographics of the city has changed. The effort during the last redistricting to draw lines more reflective of our racial makeup – the alternate plan presented would have had 3 majority white wards, 3 majority black wards, and one mixed ward – was rejected by council. Race continues to play an outsized role in Norfolk. The appointed boards and commissions reflect the same racial makeup as council. Yet when council appointed a majority black school board – rumored to be exchange for a certain council member’s support of an elected mayor as the 8th member of council – they tried to downplay it. If they believed what they said then, they would have adopted a plan that would have made race less of an issue. Another thing – and I didn’t have space for this in the column – is that the rules have changed since the last redistricting. I’ve written before about the effects of the Shelby decision on the requirement that changes be submitted to DOJ prior to implementation. Since the coverage formula was thrown out, there are no preclearance rules. Consider also that DOJ approved the at-large election of the mayor, which added an eighth member to council. Race isn’t the only issue here. Two incidents have stuck with me over the years that have changed my opinion about the ward system, changing me from a supporter to an opponent. The first was a comment made by a now-former member of council not long after the ward system was implemented. He said that it had made him less accountable to the voters at large, because he only had to listen to the voters who elected him. For a while, I didn’t get what he was saying – but the evidence started to mount that the ward system essentially pit each ward against each other. Those who follow generally Virginia politics will recognize a similar competitive situation among our cities. The other comment – and this one probably turned the tide in my head – was one made by our former city manager. She said the one thing that surprised her when she got here was how “immature” our ward system was. Instead of working together for what was best for the city, they seemed to pull apart. Finally, there is this issue of voter disenfranchisement, which was really made clear to me when Norfolk added the elected mayor. To get anything done in this city, you have to be able to count to 5. Meanwhile, we voters only get to count to 3. We cast ballots for a ward, a superward and the mayor. How do we get council to listen to our concerns when they don’t need our votes? We don’t need to make that mistake with the school board. The Virginia Code allows it to be elected the same way it was appointed: at-large. (Interesting side note: the City of Hampton currently elects its council at-large and its school board by wards. They are switching to electing its school board at-large.) 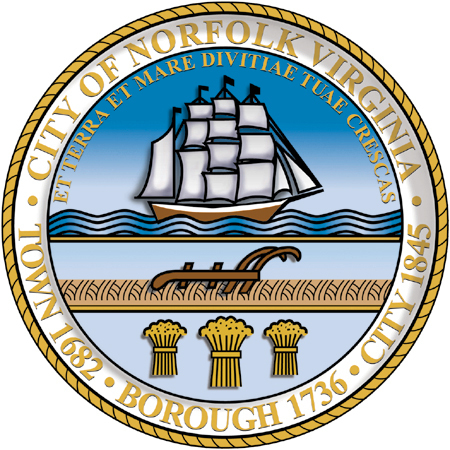 Norfolk will be submitting its legislative agenda soon and a change to its charter to allow elected school boards will be a part of that, even though it is not included yet. Let your voice be heard. The deadline for comments is 5pm, November 17. So how would that work? Ten people running and you get to pick five (assuming five members on the board)?